Hello, long time no submit. 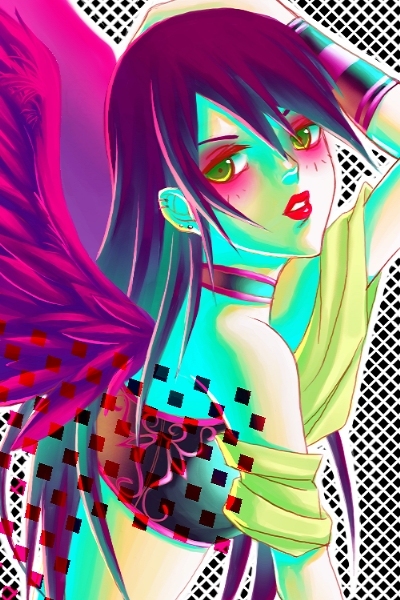 (not that anyone notices when I don't post here anyhow XD) I drew this a month or two ago for someone on gaia. ^^ utilizing color and pattern at the moment. it's kind of fun. =D Done in opencanvas with tablet and mouse. oooh! beautiful colors! i love it! Very pretty! <3 And so cool! It looks like you worked hard on this picture and once again, another amazing picture! I love this pic! So pretty. I love the colors! So bright and pretty. That's amazing. I love your use of those bright colors! XD Seriously awesome stuff!